Banners are a fun way to decorate. Anything goes when it comes to creating one I think. They can be enjoyed year after year! 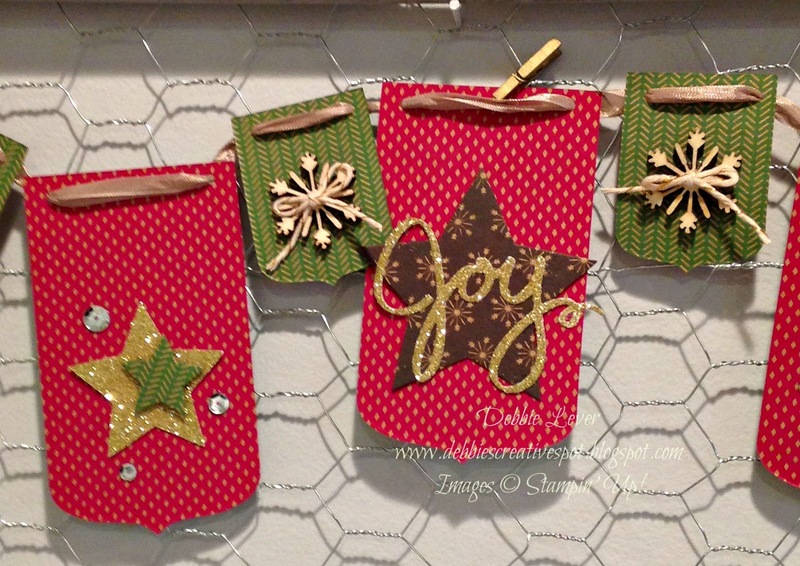 I used my favorite designer paper - Under the Tree Specialty Designer Series paper from Stampin' Up! This is a nice cardstock-weight kraft paper. I used the Party Pennants Bigz die to cut out the banner pieces. This goes quickly as you can layer up to 4 pieces of cardstock and cut at one time! Deciding the layout is the most fun. I lay all the pieces out next to each other and then just start putting the embellishments in place. Once I decide it looks good, everything gets glued. Come back tomorrow to see the other fun banner I created to hang on my fireplace. My Stampin' Up Supply List - click on product images below for more details and easy online shopping.